Charging car battery via the accessory socket? Discussion in 'Electrics, Vacuum, Ignition and ECU' started by L John, Jun 25, 2017. Just bought a jump starter as a backup in the event of a flat battery which happened twice a couple of years ago. It was a faulty battery even though the RAC guy said it tested as good. I chose this one (just search Amazon for "DBPOWER 1200A" if link no worky). One of the reasons I chose it was this one has an added feature of being able to charge the car battery via the accessory socket, which I would prefer to use if I'm not in a hurry as it would be safer on the cars electronics than an actual jump start. I guess the ignition would have to be turned on to enable charging via the accessory socket but that would be using power so I bought an adaptor to connect direct to the battery for charging. When it comes I'll check the amps it pushes in via the accessory socket and report back. I might even fit a permanent flying lead accessible from under the car, one like the Optimate uses. That would allow charging of the battery even in the event of a lock out, assuming I could get in the boot to get the power pack out. My blade key works fine, already tested it. Seems like an option others may be interested in as I've heard of a few problems with flat batteries that lock you out. Mainly on the two battery cars I think? Where do you start? In order to charge a battery the doner battery has to have a higher voltage than the recieving battery in order for the electrons to flow across. From memory, a fully charged battery is 13.6v, which isn't high enough to charge a dead 12v battery. Charging circuits typically run at 14.4v. Any higher and you'll start boiling the battery, any lower than 13.9v and it will just take forever to even part charge. Remember, as the voltage of the reciever climbs closer to the voltage of the doner the slower it gets, when they get to within 1v of each other it basically stops. What i mean by slower is days rather than hours. The fly lead idea a good idea though, i use that method on a motorcycle, works well. It would be a better, in my opinion, solution, to turn one of the existing power sockets into the 'permanently on' type. You can then also plug in a solar charger to keep the battery topped up (if kept outside) - I used this method, when I travel a fair bit internationally a few years back, and the car was left at Heathrow NCP car park for a few weeks at a time. It's a simple mod with a fuse tap, and easily reversible, if no longer required. David Richardson and L John like this. Where do you start? In order to charge a battery the doner battery has to have a higher voltage than the recieving battery in order for the electrons to flow across. That's the reason I chose this one over cheaper packs, it has a higher voltage output that connects to the accessory socket so it can be used as a normal jump start or as a car battery charging pack. My expectation it it will give between 8 and 10 amps via the accessory socket if the car battery is low enough to take it. As I said in my earlier post I will measure the amps it pushes out and report back. Unlike the traditional jump starter, it has additional function! You can use it to charge vehicle's battery for about 5~10 minutes through the cigarette charger , and then try to start your car inside. 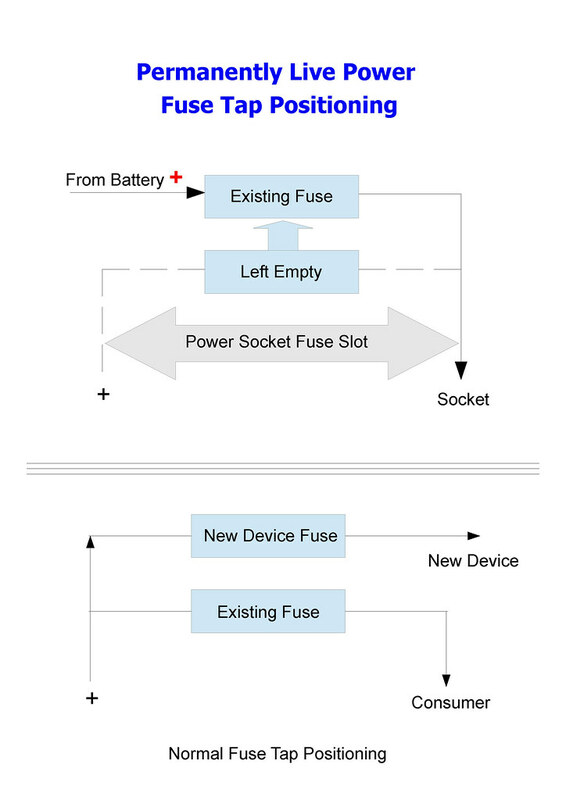 I'd love to do that but would need to know if it's as simple as a fuse location swap or if it would need a relay bypass. In my S204 the only accessory point that is always live is the phone pre-wiring point in the centre arm rest, as my phobne starts charging as soon as I put it into the cradle. I've tried all the others (glovebox, cig lighter, boot area) thinking I could charge the wife's phone overnight, but they're dead ignition off! Annoying, especially the boot one, as it makes a 12V cool box for picnics a waste of time. The bottom half of the diagram is for reference only. It does use Li-ion but it also has DC to DC converters in the unit to produce several voltages as required. It even has a USB 3.0 which can charge at up to 20 volts. Seems a very impressive product, claims of 1200 amps are way above what it will do, you tube tests show most claims on these outputs are way higher than the units and leads are actually capable of but they are able to start huge engines by using very high discharge rate Li-ion packs. There's always a certain level of embellishment with these products, but even so, it does look very impressive. Another subject you may find interesting is on desulfication. Small electronic desulfication units that keep the battery clean of sulphates, the main killer of batteries. Very popular with off grid people that rely on battery banks. There very clever and they do work, they can double the life of a battery. Yeah I know about the sulfication issues with cars that stand a long time and the alarm etc gets the battery down to a low state of charge. Mine can stand a week or two quite often. I do have a desulfication smart charger. Here's a very good video showing the hugely inflated claims of these packs. Bottom line is they work great but it would be nice if they just stated the true maximum discharge amps. Well, the unit was excellent but would not charge via a cigarette lighter socket so I sent it back as faulty. Other people have had the same problem so I didn't want to try another unit. Moving on I decided to get a jump starter that has no battery, no power at all in the unit! It's a Sealey batteryless jump starter. I flattened my car battery to 9v then connecting to the fully discharged jump starter to my cars flat battery. Left the unit to charge up to 14V which took around 2 minutes and then turned the key and it started as if a new battery had been fitted. I went for the 1100 version as the 800 unit is rated for up to 3 litre petrol. Sealey sell the 1100 unit for £287.94, ouch. Bought mine from Toolstop for £160 and it arrived two days after the order. Click names above for direct link. The benefit of this type of starter is it can start the car as long as the car battery has at least 5V and can even be charged via USB, I tested it and it charged in just under 30 minuted from a 2.1 amp USB. With any other type of jump starter you need to ensure it is always charged. Toolstop are only showing 1 left in stock at the moment, this price is way lower than anywhere else. For up to 3 litre petrol engine or up to 2 litre diesel engine the 800 version would be the better choice. This video shows how these super/ultra capacitor jump starters work. Yes they are pricey but they work in a way that seems like witchcraft and they should pretty much last forever. The one in the video started a bit sluggish but I think he was using a lower rated starter that the one recommended for his car. Mine started strong so likely would have started ok with the 800 version. Thanks for the follow up. Always good to hear how things go. If I'm ever in the market for a battery boost starter, then I'll certainly follow your lead on that one. I think either would be a good choice but keeping a fully charged lithium pack topped up can cause them to swell and fail in as little as a year, as well as the possibility of it not having enough charge when it's needed. I may never need it again but I felt it was worth the price as it should last many many years due to the fact it uses capacitors, it gives peace of mind because autos can't be push started. Much safer on car electronics than using or giving a jump start from one car to another and much more convenient. The 800 version goes for around £120. They are pricey but if you look up the price of super capacitors you'll see why. It's the fact that the unit used capacitors and not a battery that got my attention. Capacitors have got to be the way forward. By the way, did you watch the video in post #12? I've considered one of these myself, but was thinking more along the lines of the cheapo Chinese £40 versions. £40? That could do with a link So much easier than jump starting, even my missus could do it with this piece of magic (oops). The Suaoki's are good. Avoid the other one, the mAh claim is ridiculous. Bear in mind the mAh size on lithium jump starters are usually the individual packs mAh added up. It's not the capacity at the output voltage, the lithium packs are in series. A 3S pack (3 lithium cells in series) is a third of the usual claimed capacity. 80200 mAh is 80.2 amp hours, even reduced to a third of the claim it's just ridiculous. If you go too cheap on lithium you're asking for trouble as the packs need to be quality to give out such high current as needed for jump starting, unless you want to start a fire as well as start your car. The type of jump starter from post 12 is a completely different animal. Sorry for the thread changing to super capacitor jump starters but it's what I've changed to.